Washington, DC is a city that welcomes all, cherishing the contributions of its diverse residents and global community. This is why DC is the third most livable city in the country, recognized as a cultural epicenter and historic center of black culture. It’s the city where lifestyle and community meets innovation and impact; where history, heritage, passion, and diversity are the pride of its residents. Washington, DC interweaves street-born beats with the classically trained. 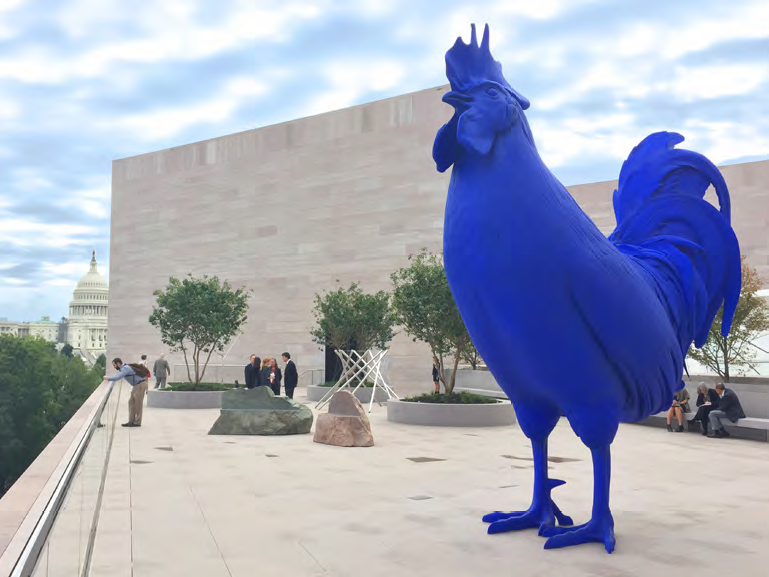 An evening in DC can range from DC-born go-go music to classical opera at the Kennedy Center; marching bands to gospel choirs; Smithsonian museums to the first US punk rock scene; tradition to counterculture. From sports to food, Washington, DC is baseball at Nationals Park and Goodman League street basketball; the 9:30 Club and jazz in the National Sculpture garden; a half-smoke and Michelin-star gastronomy; Fourth of July reworks on the National Mall and a hike through Rock Creek Park. "Employees want to live in cities where they feel welcome. We not only have vibrant and diverse communities, but also the laws in place to allow everyone to reach their full potential. Come to a city where all your employees will feel welcome, at work and in the community"
Headlining artists draw sold-out shows at the Capital One Arena, Merriweather Post Pavilion, and Wolf Trap. DC’s historical local music scene continues to improvise, master, and blend genres including Go-Go music, a mix of funk, blues, rhythm, and old-school hip-hop. Each May, DC pays homage to its music roots during Funk Parade, a one-of-a-kind day fair, parade, and music festival. Local and national performers take stage at 9:30, Echostage, Howard Theatre, National Theatre, and U Street music halls. Four additional music halls were added with the opening of The Wharf in October 2017. Home to the Smithsonian, Washington, DC is the keeper of the nation’s history. There are 17 Smithsonian museums and galleries that contain 140 million objects, works of art, and specimens–all free. The Air & Space Museum on the Mall is the nation’s second most visited museum. DC has over 25 public neighborhood libraries and is home to the Library of Congress, the largest library complex in the world with a collection of over 164 million books, manuscripts, recordings, newspapers, and other materials. "From the grand stages and halls of prominent, national institutions to intimate venues located in neighborhoods around the city, the abundance of options available to arts-goers eclipses most US cities. Washington-based cultural institutions invest deeply in building equity and access for our residents. Arts education is a top priority, and thrives through investments by the DC Public Schools and in the partnerships forged and funded by community-facing organizations and the District." The culinary community of Washington, DC rivals bigger cities. Of DC's 2,233 restaurants, 72 have received Zagat food scores of 4.5 out of 5 or higher. Distinctions include Michelin-rating, James Beard awards, AAA Five-Diamond ratings, and rankings on Bon Appetit's "Best New Restaurants in America" list. Since 2008, the number of bars, clubs, and alcohol-serving restaurants increased by 63%. "Washington, DC is where I choose to base my restaurant group because of its unique history and devotion to the United States of America. It also so happens to have an amazing food scene with many talented and inspiring entrepreneurs from all ages and background making it truly the melting pot of America and serving as its heartbeat." An expanding ecosystem of homegrown music, food, art, and Made in DC products appeal to visitors from near and far. Washington, DC’s flourishing creative economy provides makers and creatives access to a wide audience and, as the creative community continues to grow, so do the opportunities. Compass Coffee, founded by two US Marine veterans who served in Afghanistan, opened their first coffee shop in 2014. Today, they operate seven coffee shops and became the coffee of choice at the White House during the Obama administration. Their newest roastery in the Ivy City neighborhood makes them the largest coffee manufacturer in DC. Between miles of trails, the National Mall, parks, and Rock Creek Park, one of the largest urban parks in the country, the DC region boasts plenty of outdoor locations to run, bike, hike, and kayak. Among high-density cities in the US, the District has the largest percentage of park land (more than 6,700 acres), and 97% of District residents live within a half mile walk to a park. In 2017, DC welcomed more than 22 million visitors, setting a new record for the eighth year in a row. The hospitality industry has experienced tremendous growth in recent years as a result of its increasing appeal to business visitors and tourists. Over the past ten years, DC has transformed a school system that underperformed into the fastest improving urban school district in the country, the District of Columbia has 263 elementary and secondary schools that serve 92,245 local students, and enrollment has been steadily growing in DC public schools for nearly a decade – a reflection of the confidence parents have in the District’s education system. Unique among major US cities, nearly half of DC’s public school enrollment is in public charter schools, which are tuition-free and open to all. With over 6,500 teachers, DC’s pupil/teacher ratio is 12.76, far better than the national average of 15.96. DC also has over 40 different private and parochial schools, many among the best in the country, including Sidwell Friends, National Cathedral School, Georgetown Day School, St. Albans, and St. Anselm’s Abbey. DC was the first major US city to offer universal pre-K.
DC public schools serve students from pre-kindergarten through adulthood with a variety of programming. Students choose their path in Montessori or learn Spanish, French, Mandarin, or Hebrew in a dual-language immersion setting. There are more than 200 public schools within District limits striving for academic excellence and preparing students for post-secondary college and careers. The success of cutting-edge policing and crime prevention strategies Washington, DC has implemented are reflected in the crime outcomes. In 2018, the District saw a 7% decrease in robberies, a 10% decrease in assaults with a dangerous weapon, an 8% decrease in homicides, and a 7% decrease in burglaries. Violent crime in the District in 2018 was the lowest the city had seen since at least 2003. So far this year, violent crime has dropped another 7% compared to last year’s historic low.